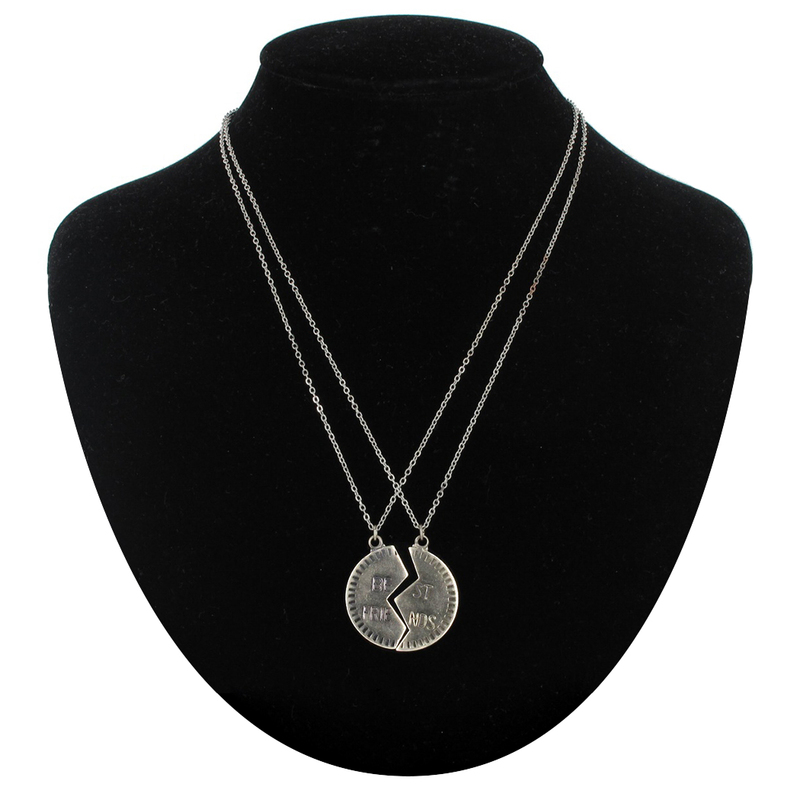 Measurement: Chain 18" Pendant 1"
Express your friendship with this best friends necklace set. 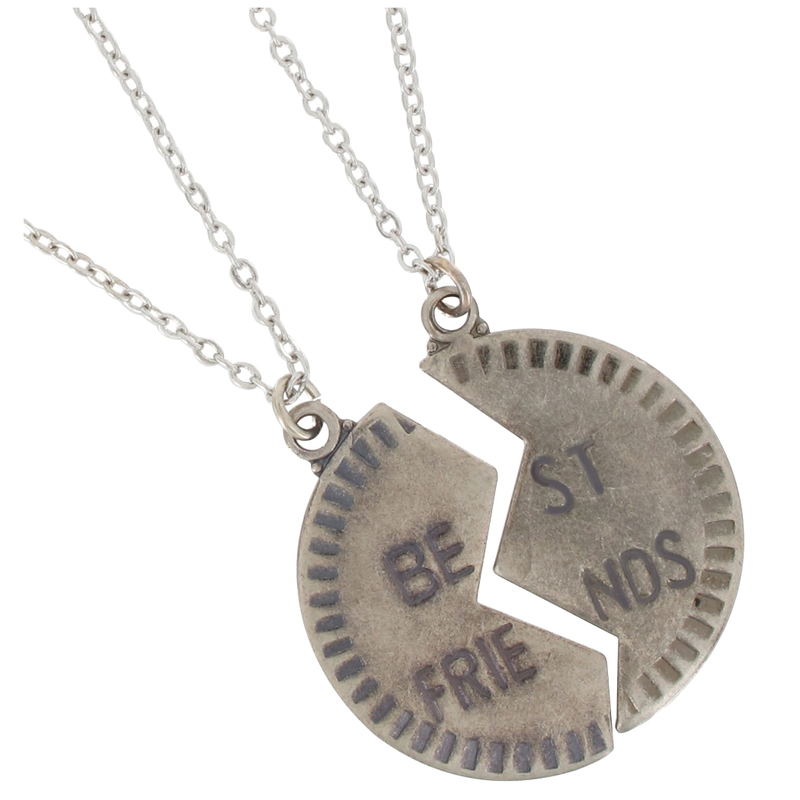 The broken circle necklaces feature the inscriptions "best" and "friends." The necklace chains are 18" long while the pendants are 1" in size. The antiqued silver tone adds a mysterious twist to these BFF necklaces. When each of you wear a best friends pendant, you can feel close to each other even if you are miles apart!